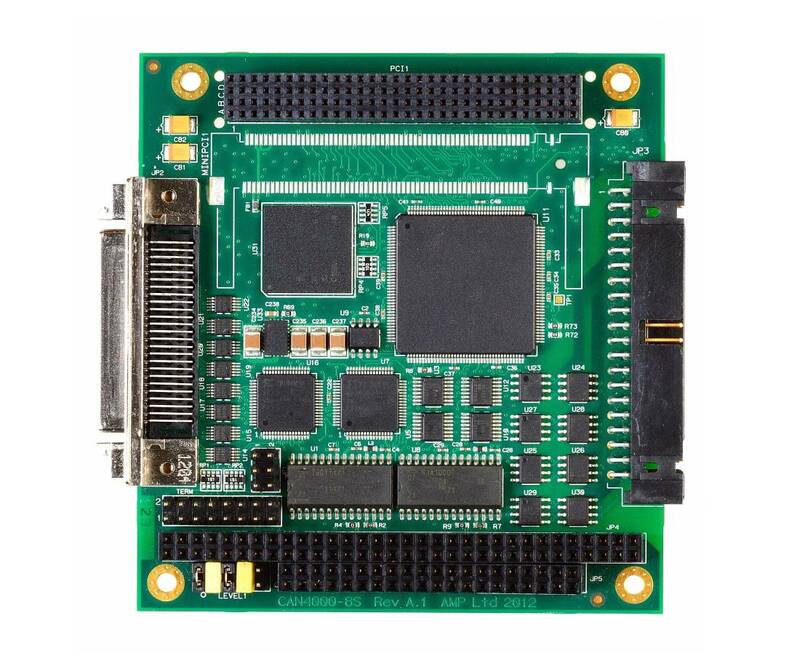 The CAN4000-8S provides four independent CANbus 2.0B controller channels (with galvanic isolation) and eight non-isolated RS-422 / 485 serial ports on a standard PC/104-Plus card. The CAN4000-8S uses four industry standard Philips SJA1000 CANbus Controllers with advanced features for use in telematics and industrial control applications. The CAN4000-8S supports both BasicCAN mode (power up default) and the enhanced functionality of the PeliCAN mode which handles all CANbus frame types according to CAN Specification 2.0B. The 8 channel serial port controller provides RS-422 / RS-485 communications up to 10Mbps. Each channel includes jumper selectable termination resistors on each receiver.